Here is Techno Camon i4 price the latest device in Kenya. Before we look at the price and detailed specifications, here are few things about this phone. Read about Techno Spark 3 Pro. For starters, it come in three variants, the 2GB, 3GB and 4GB. In addition to this, it the first phone to pack 3 rear AI-powered cameras. It has a powerful battery that packs 3500mAh juice of power and powered by MediaTek Helio P22 processor for the 4GB variant. The 3GB variant runs on MediaTek Helio A22 processor. 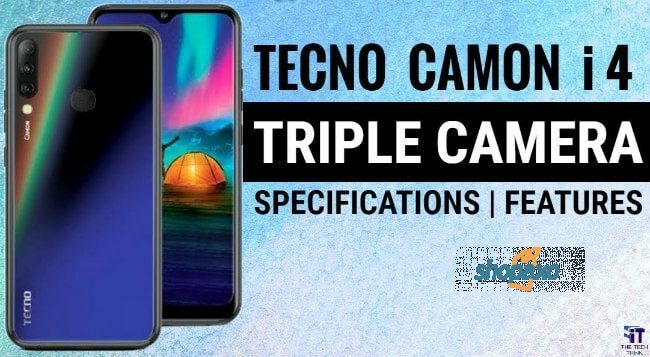 Here are the Techno Camon i4 price in Kenya full specifications . The phone is not yet available on major online shopping sites such as Jumia and Kilimall in Kenya. However, this what we know about the price. The 2GB variant will retail at about Ksh. 13,999.00, the 3GB at Ksh. 15,499.00 and the 4GB at 16,999.00.